Click here for the Malay version. 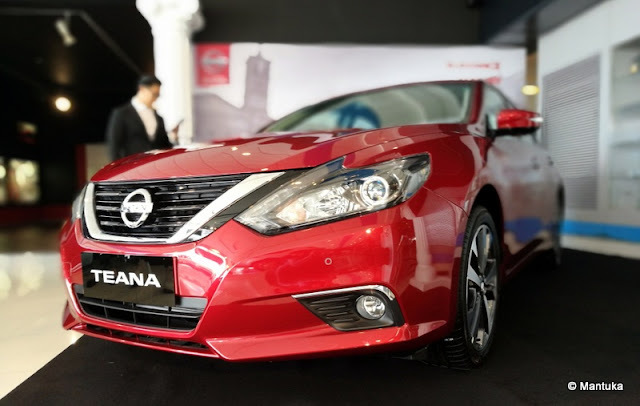 Boustead Sdn Bhd, the sole distributor of Nissan automotive in Brunei unveiled the new Nissan Teana during its official introduction yesterday at their Nissan showroom in Beribi. The new Nissan Teana has undergone a minor change after being on the market since 2014 with a sportier look and feel, suitable for those looking for both sporty yet luxurious elements in a vehicle. The new look elevates your leadership status with the state-of-the-art design and technology. 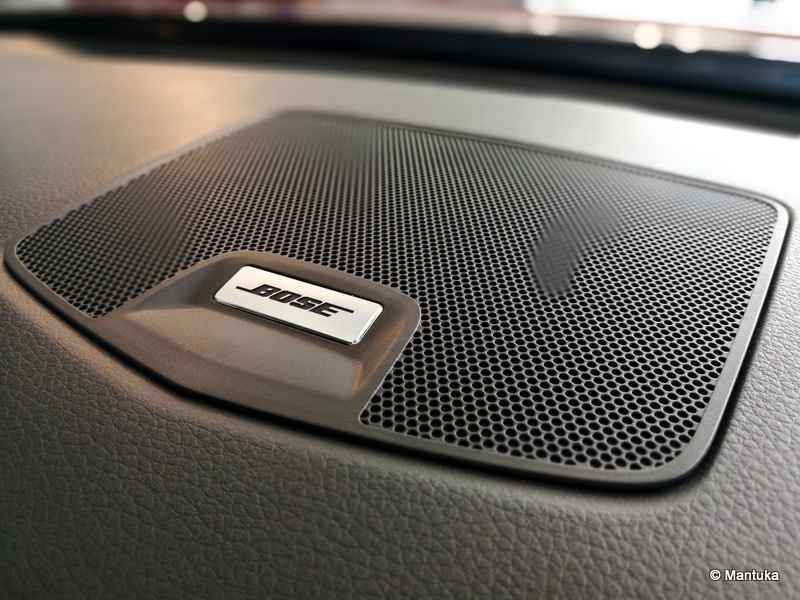 It is also very elegant and stylish than ever before, assuring every journey does not disappoint its driver. 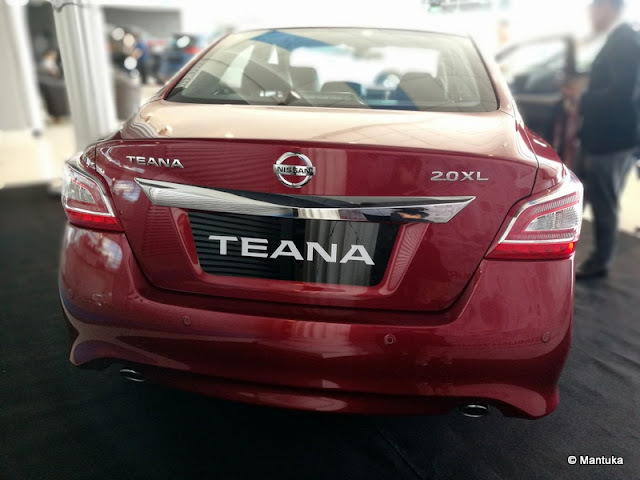 The new Nissan Teana runs on a 2.0L XL MR20DE engine which has 4 pipes, 16 valves, 1,977 cc and 136 horsepower at 5,600 rpm and maximum torque of 190 Nm at 4,400 rpm, providing a powerful response to every need with CVTC valve system for maximum torque in the minimum rpm. The innovation never stops to produce the most excellent fuel saving engine. 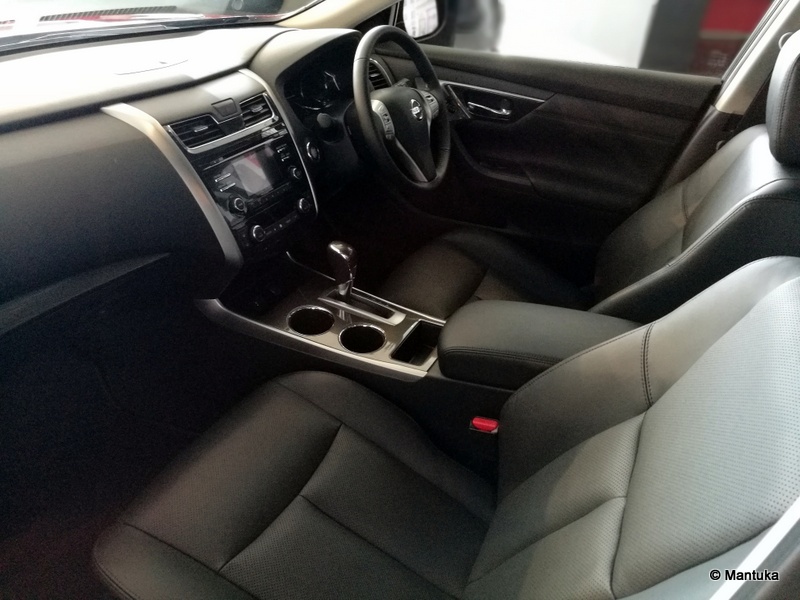 The new Nissan Teana is more spacious, exquisitely detailed with premium materials in silver and is equipped with more exciting features to further entice customers. The new Nissan Teana has enhanced its previous bold and sophisticated appearance with a more dramatic front-end styling featuring Nissan's signature front design, the V-motion grille. The body of the new Nissan Teana is now longer and taller which is easier for the driver and passenger to ingress and egress the car. It is also much lighter and more fuel efficient than the previous model. 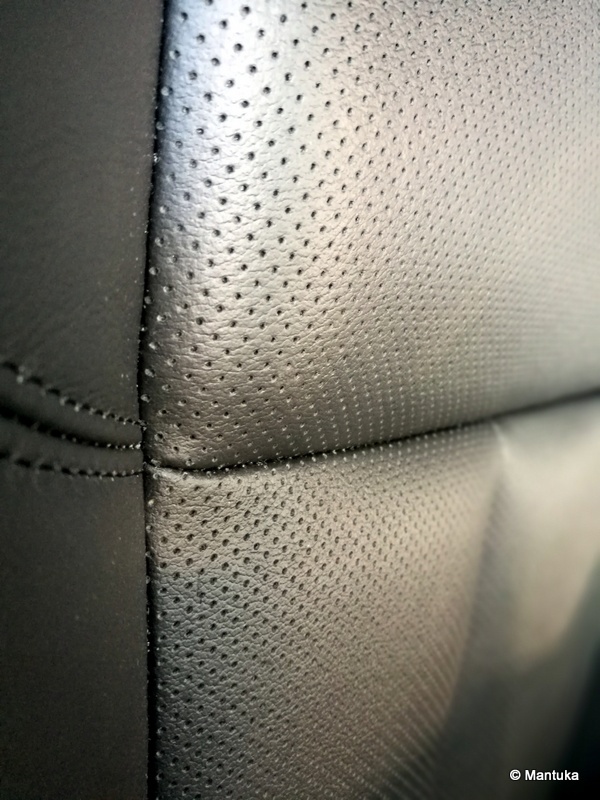 It's seats are a Spinal Support Seat, inspired by zero gravity space travel, the seats are designed ergonomically to provide support to the backbone, reduce fatigue and provides extremely comfortable to the driver and passenger. Nissan's key differentiator, Nissan Intelligent Mobility aims to achieve zero fatalities and zero emission by transforming the car into a more responsive partner by redefining how the car is driven, powered and integrated into society. 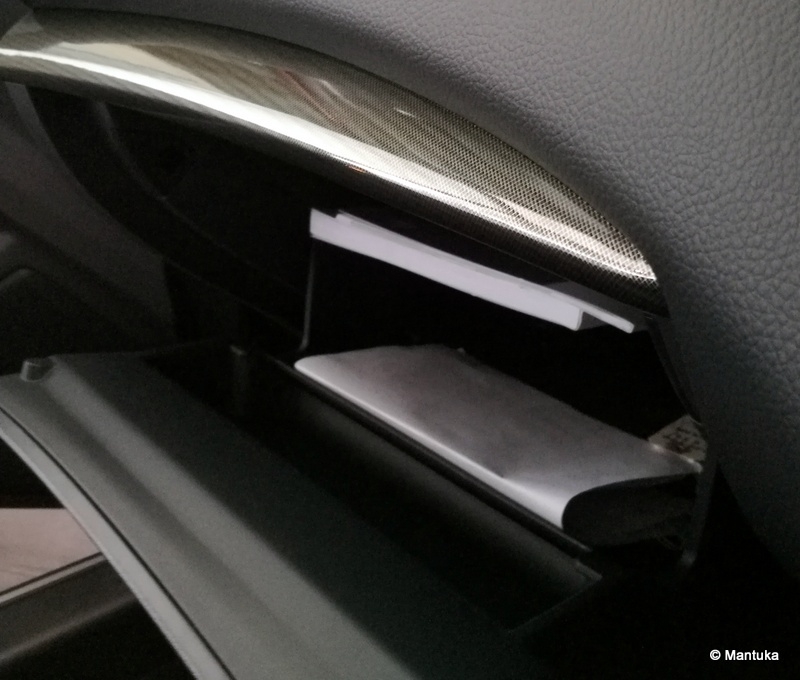 Inside, the new Nissan Teana is attached with a new 4-inch 3D Information Display slotted on a new dashboard. 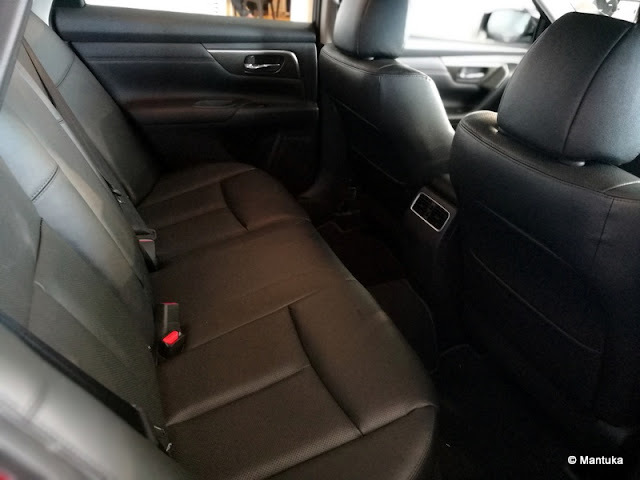 Not just that, the new model is now also equipped with a leather soft-touch material on the front and rear seating areas which granted more elegance and comfortability. Onboard entertainment is also improved with a superb sound quality of BOSE Audio System that comes with a subwoofer and 9 boasting speakers installed inside the vehicle to make the customers feel more enjoyable while driving with the new Nissan Teana. 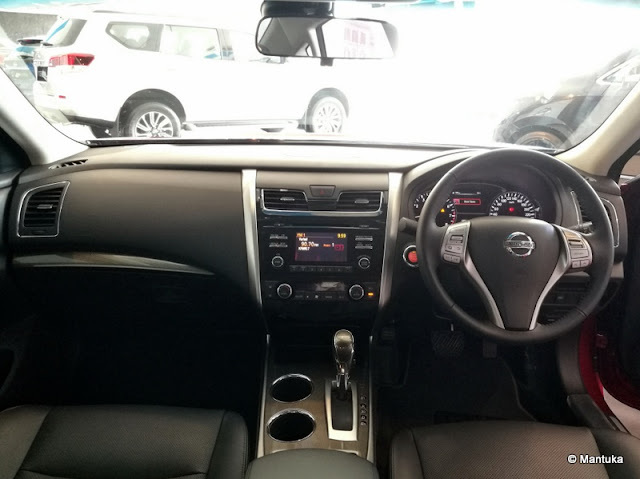 Additionally, the new Nissan Teana is equipped with Nissan Intelligent Mobility features and advanced technologies for safer and more confident driving. It is equipped with SRS airbags to protect you an your loved ones with 6 SRS airbags in front, on the side and at the rear and also when taking charge in every journey with traction Control System (TCS), it helps to reduce the chance of the wheel spinning out of control when you are driving on a slippery road. Apart from that, when the driver drives in a slick spot in a corner which can suddenly have you going in a direction you did not want, the Vehicle Dynamic Control (VDC) with stability control monitors your steering and braking to help you maintain your steered path under certain conditions by reducing engine output and/or applying brake pressure to specific wheels. It is also equipped with another innovative technology called the Active Understeer Control (AUC) that helps improve control when you take a corner. It reads the cornering situation and, if needed, will imperceptibly brake the appropriate wheel to help you steer through the turn. The anti-lock braking system (ABS) comes as standard to help drivers feels at ease in every second during any sudden brake that helps you to maintain control of your car or steer around the obstacles in your path in emergency situations. 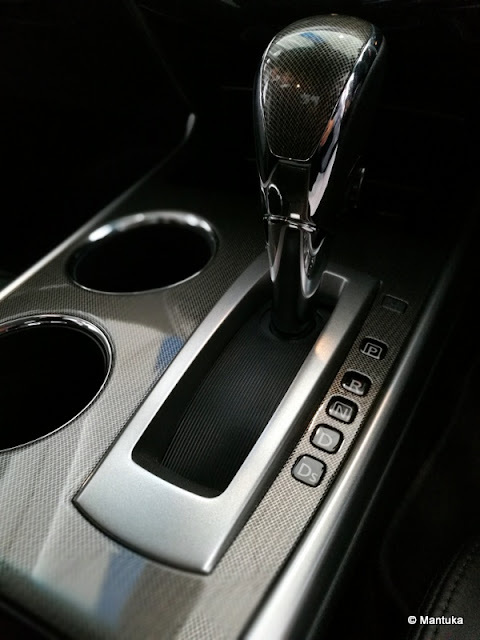 It also comes with a system that helps you brake more efficiently by adjusting the braking force to maintain the stability of the car incase of a sudden brake called the Electronic Brake-Force Distribution (EBD). 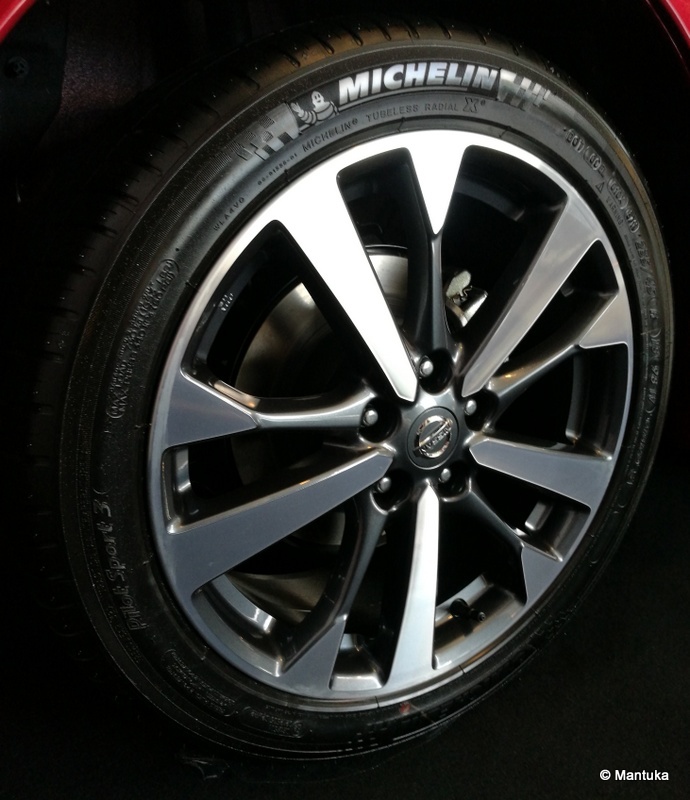 Lastly, it comes with a brake assist (BA) which is a system that applies braking pressure to the tires for maximum efficiency and reduces the stopping distance up to 10-15%, which feels like braking in a normal situation. 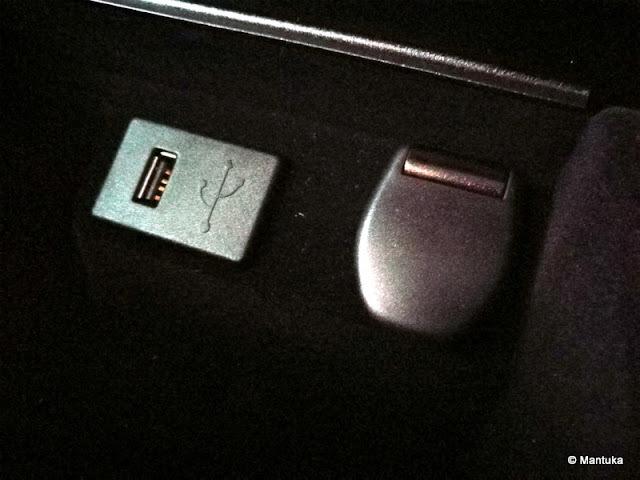 Another innovation added into the new Nissan Teana is the Remote Start Engine feature. This allows the driver to start the vehicle remotely within 200 meters with the Nissan Intelligent Key to start the vehicle and air conditioning before arriving at the car with just a touch of a button. This means that customers no longer have to worry about discomfort from heat buildup while their vehicle is locked. This innovative Nissan Intelligent Mobility feature makes the car more comfortable to drive, hence improving the customer's overall driving experience with Nissan. Rear suspension is also enhanced with a Toe Angle Control and a Chamber Angle Control to provide stable riding when cornering which offer comfortability and peace-of-mind to the customers. 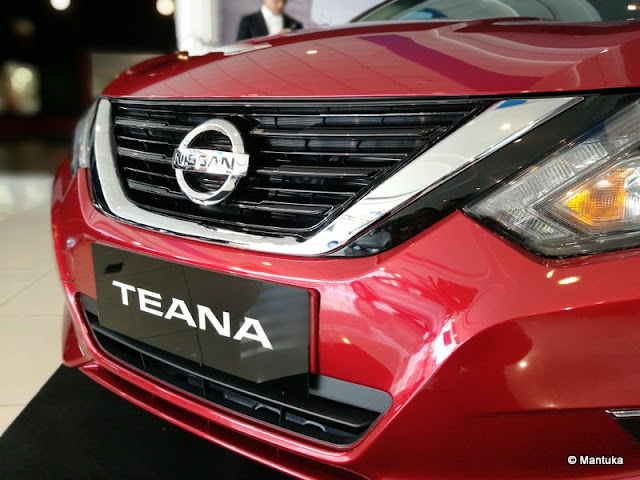 The new Nissan Teana is now available nationwide for public viewing at Nissan showroom in Beribi and Kuala Belait during its opening hours. Members of the public are welcome to visit and get assisted with Nissan's friendly sales consultants. It is available in six colours such as DK Gray PM, Brownish Gray TM, Black, Silver M, Red PM and White 3P. Nissan will continue to put their customers at the heart of everything they do. Nissan believes that the new Teana, with its enhanced design and sophisticated features and Nissan Intelligent Mobility technologies, will meet the needs and expectations of even the most sophisticated customers.